Ironing 101 Tips. 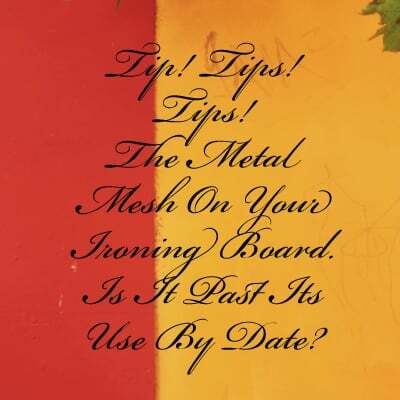 Is The Metal Mesh On Your Ironing Board Past Its Use By Date? What Are The Clues? Facts. Facts. Facts. Is the metal mesh top on your ironing board uneven? Does it bounce up and down when you iron? Does it sag in places? The only solution is to replace the board. It’s past its use by date. There was a time when ironing boards all had wooden tops. But not anymore. It’s because we’ve switched from dry irons. To steam irons. Metal mesh allows the steam from your iron to pass through your board. Rather than trapping it between your ironing board and your ironing board cover and felt underlay. Thereby preventing your board from becoming a waterfall. But once your mesh starts to weaken. And starts caving in. Or it starts to bounce up and down like a Jumping Castle. You have to replace it with a better quality board. Ironing 101 Tips. Ironing Boards. What Do I Recommend? I only recommend Brabantia ironing boards. They’re strong. Stable. And come with a ten year guarantee. Because I live in a very remote part of the High Country in eastern Victoria. I don’t have access to good shopping. I needed a smaller ironing board for my sewing room. I hurriedly purchased one from Bunnings. And it’s just not stable. I’ve ordered a Brabantia board. And am eagerly awaiting its arrival! If you have an ironing board that you’re very happy with. Email me below with the brand. And why you like it. And I’ll include it in this tip. My readers – and me – will love you for it. I have 25 years experience talking to tens of thousands of people who iron. All recommendations are my own. From my own research. And customer feedback. This Is My Rural Life. 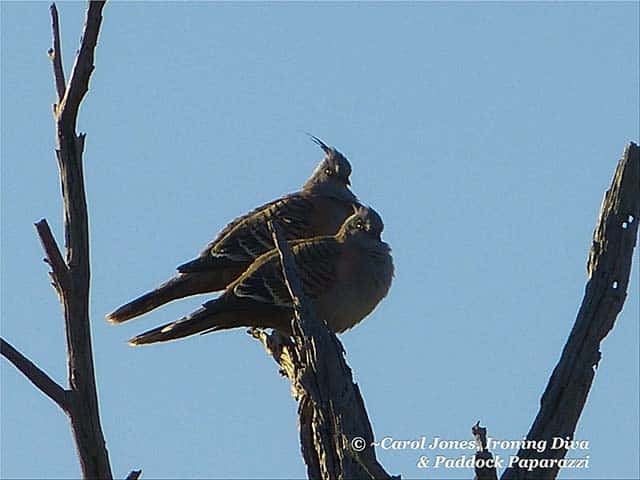 Crested Pigeons. Aglow In The Morning Sun. 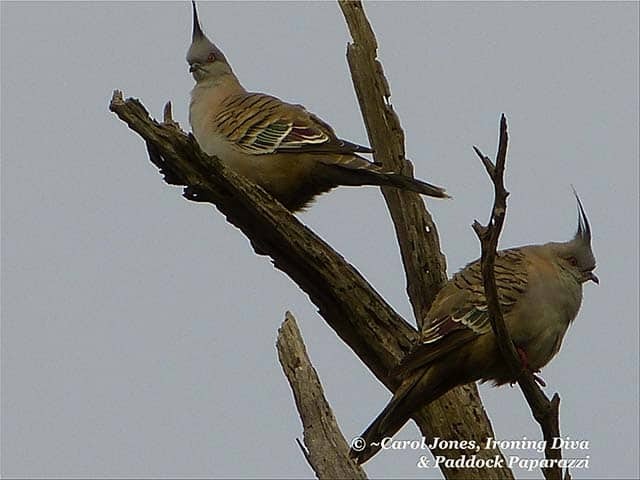 Crested Pigeons. With Perfectly Gelled Faux Hawks. David Beckham Is Jealous. 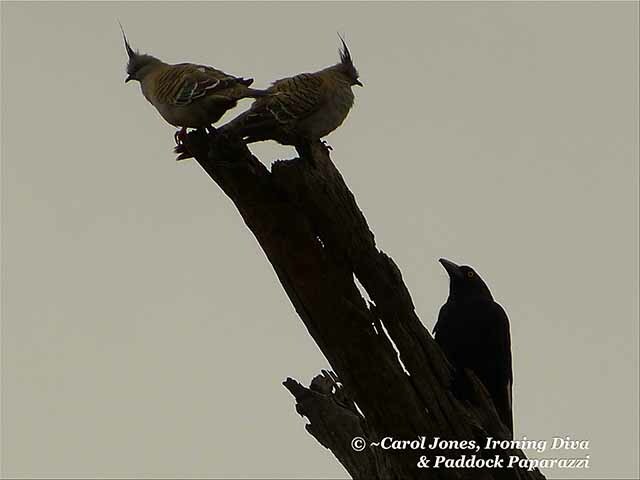 Crested Pigeons. In The Penthouse Of A Totem Pole. With A Currawong Challenger. 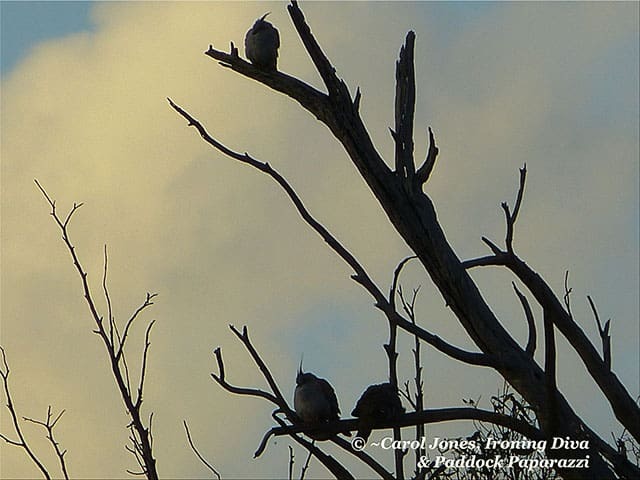 Crested Pigeons. In A Dawn Silhouette. 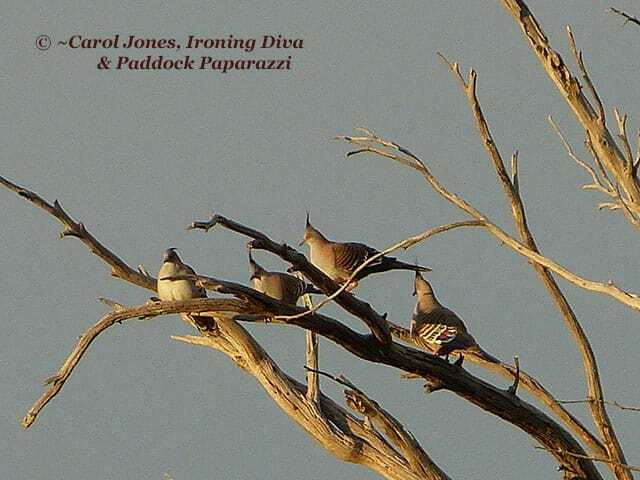 Roosting In The Paddocks. 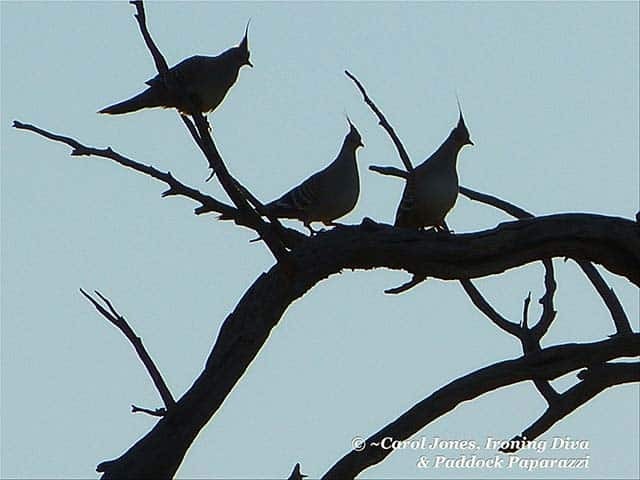 Crested Pigeons. Eyeing Me In The Paddocks.